Spam Nation: The Inside Story of Organized Cybercrime-from Global Epidemic to Your Front Door - Kindle edition by Brian Krebs. Politics & Social Sciences Kindle eBooks @ Amazon.com. Blending cutting-edge research, investigative reporting, and firsthand interviews, this terrifying true story reveals how we unwittingly invite these digital thieves into our lives every day. From unassuming computer programmers right next door to digital mobsters like "Cosma"-who unleashed a massive malware attack that has stolen thousands of Americans' logins and passwords-Krebs uncovers the shocking lengths to which these people will go to profit from our data and our wallets. Not only are hundreds of thousands of Americans exposing themselves to fraud and dangerously toxic products from rogue online pharmacies, but even those who never open junk messages are at risk. As Krebs notes, spammers can-and do-hack into accounts through these emails, harvest personal information like usernames and passwords, and sell them on the digital black market. The fallout from this global epidemic doesn't just cost consumers and companies billions, it costs lives too. Fast-paced and utterly gripping, Spam Nation ultimately proposes concrete solutions for protecting ourselves online and stemming this tidal wave of cybercrime-before it's too late. "Krebs' guided tour of the cybercriminal underworld is a cautionary tale about menacing cultures of hackers, spammers and duplicitous digital network 'cybercrooks...' an eye-opening, immensely distressing expose on the current state of organized cyberspammers. " - Kirkus"
Brian Krebs is an award-winning journalist, founder of the highly acclaimed cybersecurity blog KrebsonSecurity.com, and author of the New York Times bestseller, Spam Nation. For 14 years, Krebs was a reporter for The Washington Post, where he authored the acclaimed Security Fix blog. He has appeared on 60 Minutes, CBS This Morning, CNN, NPR, Fox, ABC News, and in the Wall Street Journal, Forbes, USA Today, and more, and has been profiled in the New York Times and Bloomberg's BusinessWeek. The writer focuses less on the concept of Spam itself, and more on his own personal involvement (from his difficulties in publishing articles in major media outlets, to his own conversations with spammers, to his findings traversing through online forums for information). This gives the story told in the book a certain granularity by extracting sub stories from the bigger picture. It’s written more like an extended piece by an investigative journalist, and less like the work that a historian or enthusiast might tell. Where the book does become a bit broader is in its definition of Spam, to include fraud & phising, and the stories the writer tells of peoples experience with online pharmaceuticals (an aside from the rest of the content in which he seemed to be much more personally involved). I always liked these stores, and found them to be the captivating part of the book. For the right audience, this is a great book. One who wants to hear about Krebs’ struggles and ongoing investigation would be very satisfied (and it’s wroth noting that he is a very authoritative source on the subject. His blog is routinely cited by the media and his involvement in the topic extends past the publish date of this book). However, for a passive observer that wants a bit of a broader history, told more like a story, and a more summarized version of personal conversations, events, etc this book doesn’t quite hit the mark. 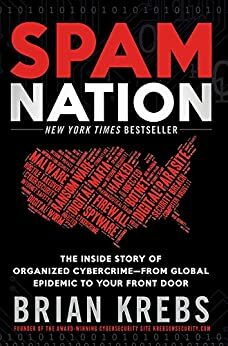 Spam Nation: The Inside Story of Organized Cybercrime-from Global Epidemic to Your Front DoorBrian Krebs is an investigative journalist and former Washington Post staff reporter, where he covered Internet security, technology policy, cybercrime and privacy issues for the newspaper and website. 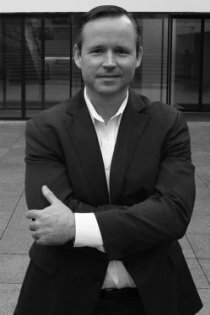 Brian left the Washington Post after editorial management at WP decided that Cybercrime was an area that was a little too risky for its appetite. Brian went on to found his own Website www.krebsonsecurity.com a daily blog dedicated to in-depth cyber-security news and investigation. Brian has become one of the most informed and prolific writers on the subject of Cybercrime. His first book SPAM Nation chronicles the activities of two leading Russian figures of the Pharmaceutical SPAM racket, Igor Gusev and Victor Vrublevsky, who leaked detailed information about the other in an effort to destroy the other. This book is a worthy read as it details the feud that developed between key Cybercrime characters and the supporting cast of corrupt banks, less than diligent ISP’s, crooked beauracrats and victims of toxic counterfeit drugs bought over the Internet from “Canadian Pharmacies”. These two individuals (Vrublevsy and Gusev), are responsible for a large percentage of SPAM that has plagued your and everyone else’s inboxes for the past 10 years. It provides insight into motives, modus-operandi and the environment, sponsored by corrupt bureaucrats who enable Cybercrime to flourish in Eastern Europe, Russia and parts of Asia. Why is it worth reading? Because YOU and YOUR IDENTITY are under constant threat from billions of SPAM emails and social engineering scams generated by a sophisticated, determined, patient and growing cadre of Cyber criminals. If you have not received a letter from your bank or institution where you hold a credit account offering free credit protection services, advising that you that your credentials may have been stolen and that your account may be compromised in the past 12 months, it is almost certain you will receive one in the next 12 months. Pharma Spam provided the trainer-wheels for the first generation of hackers. They made $millions selling counterfeit pharmaceuticals, manufactured in India, sold via online “Canadian” Pharmacies to Americans who could not afford or could not acquire drugs for any number of serious illnesses and addictive needs. The Botnets that infected and continue to compromise millions of PC’s, causing them to generate billions of Spam emails daily still exist. They provide a platform to develop and launch more sophisticated phishing and spear-phishing attacks. Hackers have perfected their craft in what history will record as the “wild-west” days of the Internet. Ten years ago, these miscreants were making $millions. Now they are making $Billions. An increasing variety of clever scams, including impersonation of senior executives using look-alike URL’s to launch phishing and spear phishing attacks (social engineering), to gain access to the corporate network and commit fraud; extortion, identity theft, credit card theft, website ransom and Intellectual Property theft. The epilogue, A Spam-free World: How you can protect yourself from Cyber-crime, is worth the price of the book ten times over. If you don’t want to read the book, then please observe Brian’s three simple rules to protect your identity… and never click on a suspicious link or a link unless you can expose and validate that the underlying hyperlink is genuine. Rule 1: If you didn’t go looking for it, do not install it. Rule 2: If you installed it, update it. Rule 3: If you no longer need it, remove it. If you are interested in any subject related to Cybercrime, follow @Briankrebs on Twitter, make #Cybercrime a Twitter hashtag that you track and read daily and visit Brian’s website, it’s a must. Finally, if you have never heard of and don’t know what “social engineering” is, then you had better do some research in a hurry, before you become the next victim of identity theft and fraud. As an infosec professional, I've been a fan of Brian's writing for a long time. Because I admire his blog so much, I very much looked forward to reading Spam Nation. Unfortunately, the book isn't well executed. The editors either pushed too hard or not enough. The first couple chapters read like a memoir and Brian takes numerous stabs at the Washington Post and the media in general. This commentary is misplaced. There's a good deal wrong with newspapers but that's off topic and seems overly personal. Brian's criticism of The Post are generally related to appropriate vetting of sources and material. It's easy to understand Brian's perspective. Spammers act with near impunity and are generally not covered in the media. Moreover, substantiated facts are difficult to obtain on such topics. The problem is that it's easy to get carried away and lose objective perspective. Brian recounts threats of violence in terms of dealing with the Russian mafia. But then he regularly talks with the same individuals who seem like deluded 20-somethings with visions of grandeur. The facts seem questionable and the threats read as overstated. Spam Nation focuses on Pharma spam and the related illegal sales. It's difficult to empathize with the author's perspective that this is a major problem. As is described in the book, many of the medications purchased illegally are the exact same medications sold in the US and perhaps made at the same factory as legitimately purchased products. There are obviously concerns regarding prescription abuse and that the illicit products advertised in spam could be fake or dangerous but war on pharma spam leads down the same road as the failed war on drugs. So long as Americans have prescription drug problems, the factories in developing nations that make the legitimate product will be tempted to (illegally) sell directly; there's too much financial incentive otherwise. Spam is the byproduct of sellers trying to trying to reach buyers. Spam exists because people choose to accept the risks for a lower cost (buyer) or higher profits (seller). For most others Spam is an irritation similar to panhandling. It's unpleasant and there are some risks involved, but it's inevitable and not overly interesting. Because of these problems, I didn't enjoy Spam Nation and can't recommend it. If readers want approachable and current insight on spam and similar infosec topics, they should just go to Kreb's blog.